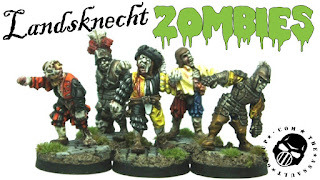 My good mate Pete Brown (he of the Mouldmaker fame) is running a short Kickstarter to produce a handful of Landsknecht Zombies....the sort that every house needs. He is to be encouraged in his madness, especially when the more that backers pledge, the more the freebies appear. I am a needy soul and love my freebies.....the link is here and below. Asgard Miniatures empowered the launching of many of today's hobby sculptors and personalities such as Bryan Ansell, Jes Goodwin, Nick Bibby, Tony Ackland and Rick Priestley. Where would our hobby be without them? 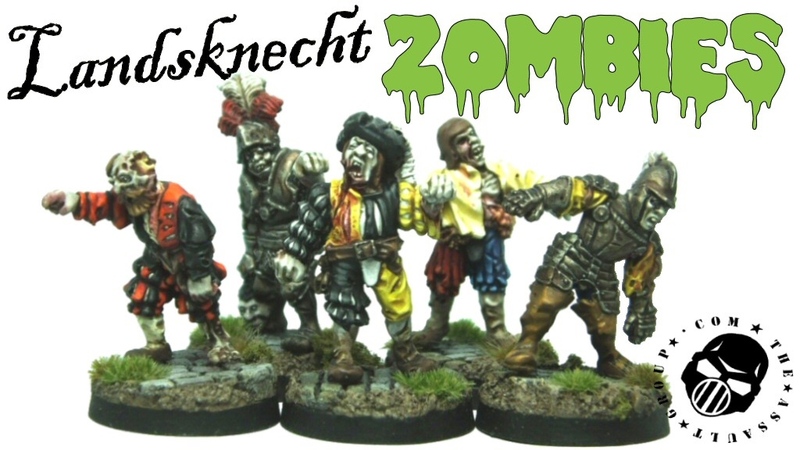 If you 'do' Facebook then I urge you to join the Asgard Miniatures Collectors Group created by Mark Stevenson. Below you (should) find the Asgard 1979 catalogue as a PDF file.......I've followed instruction to embed it however even I don't trust myself. If needed, a direct link to it is here.